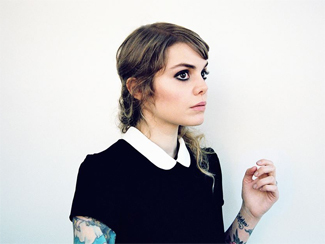 Clara PalardyBeatrice Martin – Coeur de Pirate to her fans – can be forgiven for taking a little while to release the follow-up to 2011’s Blonde; my understanding is that having a baby takes a bit out of you. But after returning to live performances this past Summer, she’s announced she’ll be back with a new record to kick of 2014. But instead of a new collection of French-language originals, her third album will be a set of English-language covers called Trauma which she recorded for the soundtrack of Québec television series of the same name (“trauma” is French for “trauma”). But unlike the fun Top-40 covers that she’s been known to pepper her live sets with – Rihanna’s “Umbrella” or Katy Perry’s “I Kissed A Girl”, for example – the tracklist will comprise “serious” songs from a diverse list of artists including The Libertines, Bon Iver, Kenny Rogers, and Patrick Watson to name a few. Exclaim has more details and her version of Amy Winehouse’s “You Know I’m No Good” is available to stream below. Trauma is out January 14. NOW puts Fresh Snow on their cover in anticipation of their appearance at Friday night’s Long Winter at The Great Hall, and in addition to that, their next local show has been announced – they’ll be at The Silver Dollar on January 11 for a Wavelength showcase; tickets for that will be $6 at the door. Del Bel will also be on the bill showcasing material from their forthcoming new album; they’ve just released a new track for free download – a cover of John Prine’s holiday chestnut, “Christmas In Prison”. NOW has a feature on Dog Day, whose new record Fade Out came out this week and will be at Cinecycle on December 14, which is to say this Saturday. The Hidden Cameras have released a second taste of their new album Age, which will be out on January 21 – check it out at Q. They’re at Lee’s Palace on February 15. The Come Up Show have an interview with Shad, who has premiered a new video from Flying Colours at Complex. He plays The Danforth Music Hall on January 31. Timber Timbre have announced an April 1 release date for their new album, Hot Dreams. Check out the trailer below. Until now, Tokyo Police Club haven’t offered up too many details on their next album, currently being recorded and coming out next year, but they’ve just put out a first taste of it by way of a nine-minute multi-part epic that modestly suggests the new record might be a wee bit ambitious. Young Galaxy have turned back to the original issue of Ultramarine for another new video. Unless you count this live performance clip at Southern Souls. Noisey has premiered the new video from The Darcys’ latest album Warring. Dan Bejar talks to Exclaim about his future Destroyer plans. The Dallas Observer and Phoenix New Times talk to Jace Lasek of The Besnard Lakes. 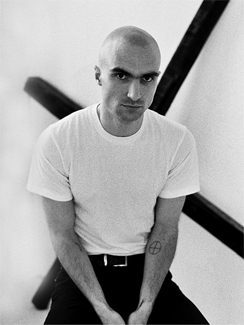 Paste gets to know Devon Welsh of Majical Cloudz. Jason GordonFans disappointed by the disbanding of Toronto folk-pop stalwarts Forest City Lovers last Spring didn’t have long to mourn; frontwoman Kat Burns stepped out of one project and straight into another, assuming a new identity as Kashka and coining the term “folkpoptronica” in describing her debut album Vichada, released mere weeks later. It was a decidedly synthetic and dance-friendly offering, transporting Burns’ warm vocals and songwriting strengths into a sleekly futuristic landscape like a musical version of Tron. Her second album Bound, released earlier this month, continues to spend quality time immersed in 0s and 1s with a more overt New Wave flavour, but also returns to its forest and city roots in incorporating more organic instrumentation into the mix. But the semantics of genre are secondary to the fact that the evolution of Burns’ pop instincts over the course of three Forest City Lovers album and the Kashka debut continues unabated here. The likes of “Never Had It” and “Lamplight” boast some of the finest melodies Burns has written to date, and their buoyancy coexists with the shadowy, introspective numbers she’s always been strong at. It’s far too early in her career to declare a record a summation of all that’s come before… but Bound rather is. It sparkles and smoulders and is a strong reminder that, whatever name she trades under, Burns is one of this city’s brightest talents. Kashka plays a record release show for Bound at The Great Hall on December 5, supported by Warm Myth and Kelly McMichael & The Gloss and courtesy of the artist, I’ve got a pair of passes to the show to give away, along with a copy of the new album on your choice of CD or vinyl. To enter, email me at contests@chromewaves.net with “I want to see Kashka” in the subject line and your full name in the body, and have that in to me by midnight, December 3. And as a bonus, I’ve also got a pair of passes to give away for the Ottawa show at Raw Sugar on December 6, so if you’re reading from the nation’s capitol and want to go, same deal as above but put “I want to see Kashka in Ottawa” in the subject line. It was as much a given as the new year itself, but The Sadies have confirmed their annual New Year’s Eve soirée at The Horseshoe on December 31; tickets $25. They’ve been teasing its existence for a while, but The Hidden Cameras have finally announced details of their new album Age, which will be out on January 21. And to make up for the wait, they’ve announced a hometown record release show at Lee’s Palace on February 15, tickets $15. Their self-titled debut came out so long ago (2009) that it appears to be out of print, but Ottawa by way of Toronto rock machine The Balconies have finally gotten their second album together while expanding from a trio to a quartet; it’s called Fast Motions and will be out on January 28. Exclaim has details as well as some tour dates, including a February 1 local date at Lee’s Palace on February 1, tickets $10.50 in advance. They’re interviewed in the Victoria Times-Colonist and The Ottawa Citizen. Chart takes Shad dollar bin-diving at Toronto’s Sonic Boom; The Winnipeg Sun also has an interview. He plays The Danforth Music Hall on January 31. Interview gets to know Alvvays, whose debut self-titled album will be out in the new year. Born Ruffians have premiered another new video from Birthmarks via Indie88. Evening Hymns have released another video from last year’s Spectral Dusk. The Edmonton Journal, Metro, 77 Square, The Daily Tarheel, and 85-26 all talk to Basia Bulat. NPR has a World Cafe session with Memoryhouse. Justin BroadbentOkay, so maybe the build-up hasn’t been that long. The specifics of Shadrach Kobango’s – that’s Shad’s given name, if you didn’t know – new record Flying Colours were only made official two months ago, but since then it’s reasonable to say that anticipation levels have gotten pretty high. And not that there should have been any doubt, but Flying Colours is pretty great. Like his breakout 2007 album The Old Prince and its equally Polaris-shortlisted 2010 follow-up TSOL, Colours is chock full of fast rhymes, smooth beats, brilliant wordplay, and undeniable fun. One of Shad’s many gifts is how he’s able to rap so specifically about his own personal experiences as a Kenyan-born Rwandan immigrant and make them so universally inclusive. It doesn’t necessarily break any new ground relative to his other albums – at least not one that this not-especially-attuned-to-hip-hop ear can detect – but it’s just as good if not better, and that’s plenty. An advance stream of the album intertwined with commentary from both Shadrach and CBC’s George Strombolopolous went up available to Canadian audiences at CBC Music, and if you’re not fond of the conversational podcast format a straight stream with accompanying text Q&A went live today. I believe both are geoblocked to Canada, though, so if you live outside the ten provinces and three territories, there had been some talk of a Soundcloud stream so be patient. Maybe read this feature piece at Exclaim in the meantime. Further, with his previously-announced October 19 show at The Opera House well and properly sold out, he’s announced a couple more Toronto-area live appearances in both the near- and long-term; to the former, there’s an in-store at Sonic Boom’s Annex location on the day of release – October 15 – at 7PM, and to the latter, he’s announced his biggest headlining show to date at The Danforth Music Hall on January 31, 2014, tickets ranging from $18.50 to $23.50 in advance. 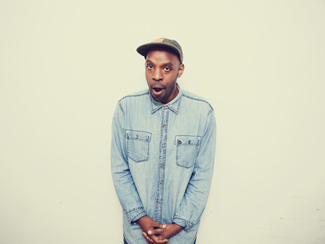 Shad’s going to be everywhere with this record – you may as well join him. NOW spends some time with Nick Thorburn of Islands, in town at The Garrison tonight, October 10. The band themselves still aren’t saying much, but Rolling Stone has gathered quotes from others involved with the recording of Arcade Fire’s new album Reflektor, which comes out October 29. October 29 will also see the release of Moonface’s new album Julia with Blue Jeans On and so The Quietus is happy to host the first in a series of video sessions with Spencer Krug and a piano. Bound, the debut from Ex-Forest City Lover leader Kat Burns’ new incarnation as Kashka, is coming November 5 and in addition to sharing an excellent first track from the album, she’s plotted out a Fall tour that has two Toronto dates; a solo record release show at The Dakota Tavern on November 6 and a (presumably) full band affair at BLK BOX come December 5. Update: As Ms Kat Kashka mentions in the comments, the Dakota show is as support for Sunparlour Players; the December 5 gig is the actual coming-out party. Plan accordingly. Pitchfork has a stream of the first sample from Destroyer’s forthcoming Five Spanish Songs and, indeed, it’s a song in Spanish; one of five that will be released on November 29. A solo Dan Bejar plays The Great Hall on November 9. Wes Marskell of The Darcys talks to Exclaim and NOW about their new album Warring and to Impose about having to deal with an unlicensed soundtrack appearance of the pornographic kind. They’re at The Adelaide Music Hall on October 11. Exclaim has a video session with Basia Bulat, who plays three shows behind her new album Tall Tall Shadow at The Polish Combatants Hall this week, October 10 through 12. July Talk explains to Exclaim why they’re re-releasing their just-released debut self-titled album on October 15 with four extra bonus tracks inserted into the original running order. The Hidden Cameras have offered a taste of their new album AGE, due out early 2014, with a new video. Sarah Harmer talks activism and a new album with Exclaim while penning an op-ed about the her fight against the line 9 oil pipeline in The Grid. Noisey has premiered the new video from Odonis Odonis. The Lowest Of The Low have announced the departure of founding guitarist/vocalist Stephen Stanley; it’s assumed by their not declaring the band is breaking up again that they’ll soldier on with guitarist Ron Hawkins and drummer David Alexander as the remaining original members; original bassist John Arnott left the band back in 2007 or so. The Georgia Straight talks to Tony Dekker about his new solo record Prayer Of The Woods. In hounour of the 20th anniversary of Nirvana’s In Utero, Toronto’s Hand Drawn Dracula has compiled a tribute album to the record featuring some of the best and brightest of the local indie scene, including Fresh Snow, Odonis Odonis, Hooded Fang, and more. Stream it or download it in exchange for an email. Frank YangI don’t know if the troops who manned Fort York in the 18th and 19th centuries necessarily knew that they were potentially laying their lives on the line so that future generations could wander the grounds, tall boy in hand and Ray-Bans on head whilst listening to live music, but if they did, they’d be proud. After serving intermittent duty as an outdoor venue over the past few years, Fort York and Garrison Commons has become the go-to site for music festivals in downtown Toronto, effectively replacing the picturesque but logistically problematic Olympic Island. And while it’s not large enough to host something on the scale of Lollapalooza or Osheaga, or even necessarily our own late and qualifiedly-lamented V Fest, it’s a convenient, scenic, and effective space for events like the inaugural Toronto Urban Roots Fest this past weekend. Unlike the Arts & Crafts anniversary Field Trip in June, the Lolla-Osheagea-drafting Grove Fest in early August, or the Replacements-reuniting Riot Fest later that month, TURF comes out of the gate homegrown – put on by local promoters Collective Concerts – and extra-ambitious, stretching over four nights and two full days plus club shows at The Horseshoe and Lee’s Palace, and with a definite eye towards becoming an annual Summer tradition in the city, filling a glaring need in a town that’s otherwise pretty generous for its live music-going patrons (for more background on the festival, check out interviews with founder Jeff Cohen at The Toronto Standard, The Grid, The National Post, The Toronto Star, and The Toronto Sun). And it all got underway last Thursday evening, under sunny and sweltering skies, with Barr Brothers, the multi-instrumentalised, harp-enhanced quartet from Montreal ably represented the “roots” end of things. Being largely unfamiliar with the band, their musical personality felt somewhat broad, but as the set progressed, settled into an enjoyable range, dwelling largely in the intricate and lovely folk end of things but with confident forays into rougher, bluesy territory, all of it elegantly and impeccably executed. No such stylistic figuring out was needed for Scotland’s Camera Obscura, up next at the other end of the park. I’d seen them what seems like a million times – most recently their second-last visit in June 2009 behind My Maudlin Career (they circled back for another show that November) – but it had still been far too long. But now they were back with a charming new record in Desire Lines and back on the road. And, had there been any doubt, they confirmed that in addition to being top-class purveyors of indie-pop tunes, they could still look unsmiling and dour even on a beautiful Summer’s evening. That’s just them, though, and with a couple touring players utility filling things out on percussion, horns, and steel guitar, they were able to string together all the bright and jaunty pop numbers in their catalog – with a few of the slow burners dropped in for variety – for an ideal smile-inducing, hand-clapping festival show. The Philadelphia Inquirer and Boston Globe have features on the band. It stands to reason that if you open up something of local importance, like say a shopping mall, you’d have the mayor on hand to cut the ribbon (maybe not Toronto’s mayor, but I digress). So if you’re inaugurating a new music festival in Canada, you bring out the de facto mayor of Canadian music, which is to say Joel Plaskett. Following an introduction from fellow sort-of Canuck icon, sportscaster Dave Hodge, Plaskett and the Emergency got to work with a set not too different from the one I saw at The Horseshoe in December, with a solo acoustic set sandwiched between classic rock-outs, but angled more for broad crowd-pleasing than just the die-hards. It’s pretty safe to say there’s no size stage that Plaskett doesn’t feel right at home at, whether playing the rocker or troubadour. And it seemed fitting that having largely missed Canada Day earlier this week because I was in the US, I was now marking Independence Day with as concentrated a dose of Canadiana as you could hope to find. The Gate has an interview with Plaskett. On an evening of TURF firsts, She & Him had the distinction of not only being the first headliner, but the first ones to reveal the very existence of the festival to the world when it was listed in their tour itinerary in support of Volume 3 back in January. It was a personal first for me, as well, seeing them for the first time outside of SXSW where I caught one of their earliest shows in 2008 and again in more seasoned form in 2010. 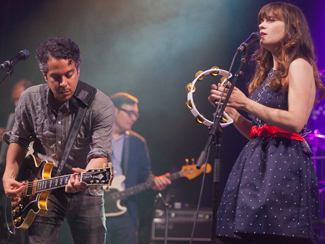 It looked to be Matt Ward and Zooey Deschanel’s same six-piece backing band in place as at that second show – nice to see they’ve kept the unit together over the years – and also in place was their strict “no photos” policy, applied to the entire audience and most of the media. This was a source of some grousing from those hoping to leverage the star power on display into more Instagram likes, but for those who accepted it and watched the show with their eyeballs, it was a pretty enjoyable show. It may be an overstatement to say that had She & Him been exactly what they are musically but without the principals being who they are, they wouldn’t be where they are now – okay, any outfit with someone of Matt Ward’s guitar and arrangement skills would demand to be heard – but you can’t argue that having someone of Deschanel’s profile fronting them offered a pretty big leg up. She’s not an astonishing talent as a singer or a songwriter, but she’s certainly good enough to pull off the uncomplex but endearing retro-pop songs that she writes, particularly when surrounded with the players that she is. And considering that between the release of their first record in 2008 and now, she’s gone from an indie film darling to legit network sitcom star, the her commitment to She & Him remains as strong as it is actually pretty impressive. Also impressive is how much she’s grown as a frontperson and performer. She’s not Juliette Lewis, by any measure, but considering how deer-in-the-headlights terrified she was at that first SXSW show, the assuredness she’s got on stage now if nice to see. Ward, also, was more engaged with being the titular Him in the band, stepping out of the shadows for some showy guitar moves and to elicit swoons with his gravelly vocals on the duets. Together, Ward and Deschanel have a charming if decidedly PG sort of chemistry, perfectly suited to the chaste, sock hop-esque concepts of romance that they specialize in. High points were the Chapin Sisters-harmonized rendition of the Righteous Brothers’ “Unchained Melody” against a backdrop of stars, a sweet version of Ward’s own “Magic Trick”, and a fiery guitar duel between Ward and Mike Coykendall to close out “In The Sun” and the main set. And also that the first day of the first TURF ever went off beautifully. Exclaim has a conversation with Louise Burns about her new album The Midnight Mass as well as an advance stream of said record ahead of its July 9 release date. Exclaim gets Diamond Rings to play an acoustic video session. He’ll be fully plugged-in when opening up for OMD at the Danforth Music Hall on July 11 and 19. Exclaim talk changes in direction with Lightning Dust, in town at The Drake on September 10. The Grid checks in with Dallas Good of The Sadies, whose new album Internal Sounds will be made external on September 17. Exclaim has the first batch of live dates from Rae Spoon in support of his new record My Prairie Home, coming August 13, and they include a September 18 date at The Gladstone in Toronto. The Montreal Gazette and Spin have feature pieces on Austra, who play a hometown show at The Phoenix on September 27. The Grid talks to Joel Gibb of The Hidden Cameras about their new 7″ “Gay Goth Scene” and the new album, Age, that it precedes. That is due out sometime this Fall. Evening Hymns have released a new video from their Polaris-longlisted album Spectral Dusk. Stars have premiered the newest video from The North at The Huffington Post. Huffington Post talks to Al Spx of Cold Specks about collaborating with Moby on his new record and where she’s going with her own next album. The Guardian has a video session with Rachel Zeffira, wherein she performs her version of The Beatles’ “Because”; she plays one of her own songs in session for Chart. aux.tv has an interview with Odonis Odonis. Denis NazarovThough at least some of his current profile comes from being associated with the same Montreal scene that produced Grimes, those expecting more electro-pop cotton candy from Devon Welsh of Majical Cloudz had best adjust their expectations. His full-length debut Impersonator is electronic, yes, but is also spare, haunting, and unflinchingly emotional, circling heavy lyrical topics like death and desire. One would expect that at the Matador company picnic, he’ll be keeping more company with Mike Hadreas of Perfume Genius than, say, Belle & Sebastian’s Stuart Murdoch. Even so, Impersonator is one of the more eagerly-anticipated debut records coming out of Canada this year, and with its May 21 release date almost upon us, it’s time for an advance stream of the record courtesy of Pitchfork. There’s also interviews with Welsh at Stereogum and Flavorwire, and while the venue is still TBA, he’ll be one of the bigger draws at NXNE on June 15. Update: It’s BLK BOX underneath The Great Hall. And a few noteworthy album streams originating from right here in Toronto: Exclaim is streaming the self-titled debut from glam/New Wave outfit Decades, though they should technically be called “Decade” since the only one that matters to them is the ’80s. The record came out this week and they play a record release show for it at The Garrison tonight, May 16. Hooded Fang are streaming their new record Gravez over at Hype Machine ahead of its May 28 release date. They play a hometown record release show for it at The Horseshoe on May 31. Local country-pop newcomers Beams have made their debut album Just Rivers available to both buy and stream. There’s a video session with the band at Exclaim and they’ll be at The Central on June 14 for NXNE. Exclaim and NOW find out what METZ are up to, besides making a triumphant homecoming at Lee’s Palace tomorrow night, May 17; expect a new song and video sooner rather than later. Young Galaxy have released another new video from Ultramarine. They’re at Lee’s Palace on May 31. Daytrotter welcomes Hayden for a session. He’s at Field Trip at Garrison Commons on June 8. Noisey has a video session with Stars, also partaking in Field Trip on June 8. With their debut album Beyond Wilderness out as of this week, Vancouver’s Gold & Youth have released a new video from it and are the subject of feature pieces at Exclaim, The Georgia Straight, and The Vancouver Sun. They play the Arts & Crafts Field Trip fest at Garrison Commons on June 8 and will stick around town to play a NXNE showcase at BLK BOX on June 14. The Dumbing Of America has an interview with No Joy, who are back in town at BLK BOX on June 13 for NXNE. Stereogum talks to Katie Stelmanis of Austra, whose second album Olympia is out June 18. Diana are poised to become Toronto’s next great synth-pop export, having signed a deal with Paper Bag Records and Jagjaguwar for the August 20 release of their self-titled debut. Exclaim has details and a new video from the record. All of this is very exciting, of course, but sadly probably means that we won’t be seeing anything anytime soon from frontwoman Carmen Elle’s Army Girls. Alas. Diana have a June 13 showcase at The Horseshoe for NXNE and will support Tegan & Sara and fun. at Downsview Park on July 6. It sounds as though The Hidden Cameras will release a new record this Fall under the title of Age. Exclaim and The Verge talk to Jim Guthrie about his years in the making yet totally worth the wait new record, Takes Time. Exclaim has an interview with The Besnard Lakes. Frontman Jace Lasek also details his dream band lineup for The Independent. Beatroute and Austinist interview Suuns. Stephen McBean talks to Exclaim about what’s coming next from his Pink Mountaintops project.